Inspired by the graceful corning abilities of 200 plus mph Formula GP motorcycle racers and the ragged-edge style of Motocross champions, the Gravity±Seat suspension seat post overcomes a critical limitation inherit in the handling characteristics of bicycles today. It is the first of its kind ever to be designed for road bikes, flowing with the rider’s natural body position and riding style while distributing the weight down low and evenly through corners, dramatically increasing aerodynamics, traction and control. 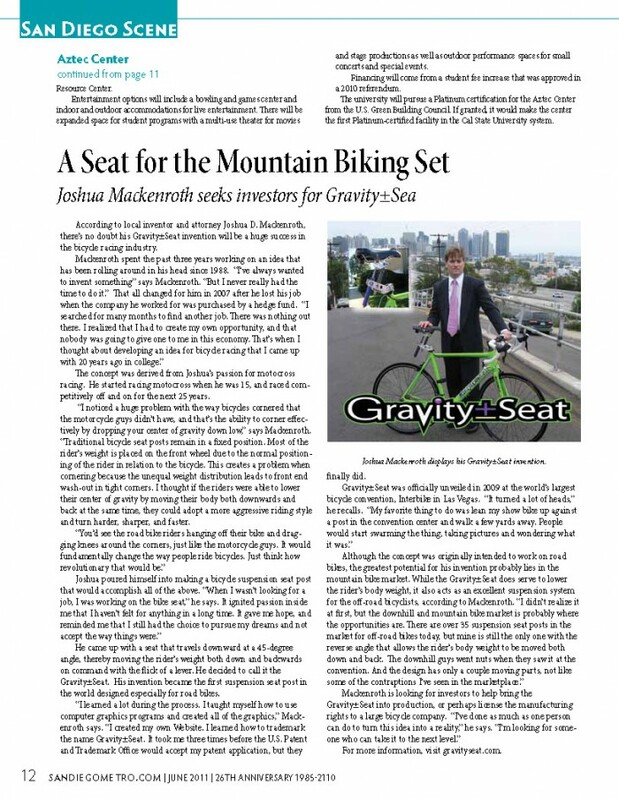 Gravity±Seat offers this same performance advantage for off-road bikes while adding nearly three inches of suspension to any bicycle in a simplistic, durable design. The patented reverse angle design allows the seat to travel downward to lower the center of gravity while the damping shock absorbs sharp impacts. 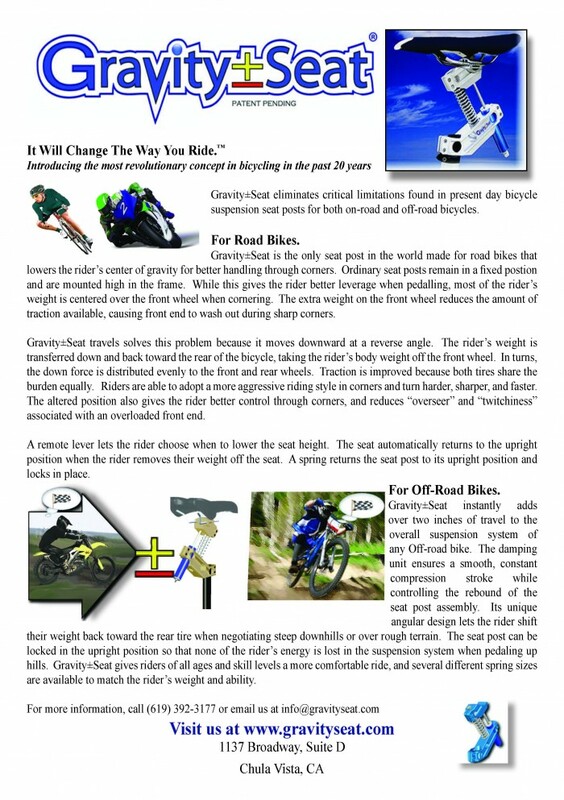 This gives riders the ability to drop down and back toward the rear of the bicycle through rough sections and steep downhills rather than being thrown over the handle bars. The result is a faster, safer and smoother ride. Bicycling is the seventh most popular recreational activity in America. Roughly 39 million people rode bicycles in the United States in 2011. People that described themselves as occasional or frequent bicycle riders accounted for 22.9 million of this group. The bicycling industry generated $6 billion dollars in revenue and over 12.8 million bicycles were sold in the USA. Over $3 billion dollars was spent last year on aftermarket parts and accessories purchased at bike specialty shops and retail markets. Of the accessories available, aftermarket suspension seat posts have become hugely popular among the off-road bicycle community, with thirty eight different products to choose from currently. There are no suspension seat posts designed specifically for road bikes. Gravity±Seat is uniquely positioned to be the first suspension seat post to enter this market. 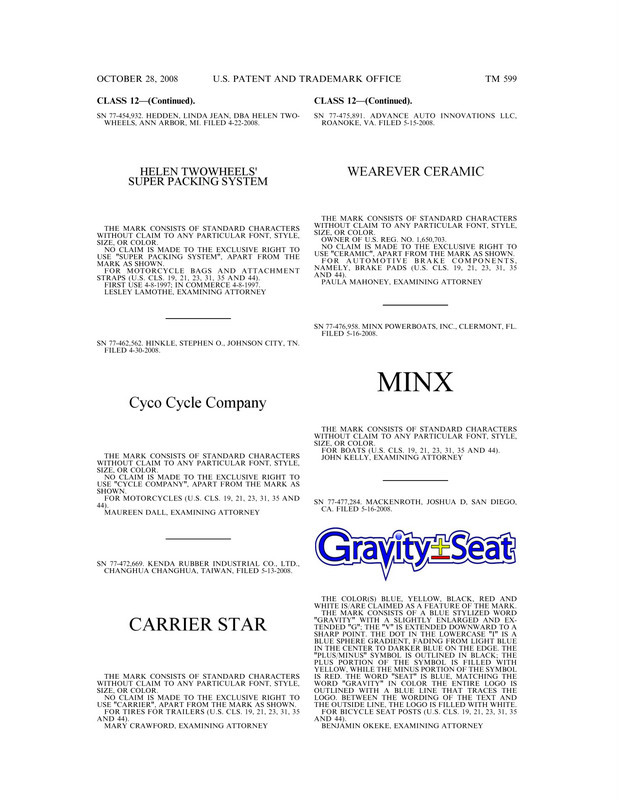 GravitySeat is a registered Trademark and companion intellectual property. Off-Road Suspension seat posts: The present market of adjustable suspension bicycle seat posts for off-road bikes falls in to two categories: (1) a spring loaded “Vertical Spring” design incorporating two telescoping straight tubes that compress downward on either an internal or external spring; or (2) a “Cantilever” type design that allows the seat to pivot down toward the rear of the bicycle in a scissor-like manner. Gravity±Seat is a distinct improvement over the existing market by combining the main benefits of the Vertical Spring and Cantilever designs. Specifically, Gravity±Seat (1) travels up and down like the Vertical Spring variety but without the need for complex motions found in the cantilever designs; and (2) the seat is moved both down and back like the Cantilever design – something the Vertical Spring models cannot do. In addition, Gravity±Seat utilizes both a spring and a hydraulic damping shock for enhanced shock absorption and rebound rate control. Gravity±Seat’s unique design is less complex and far more durable than its competitors in the off-road market today. 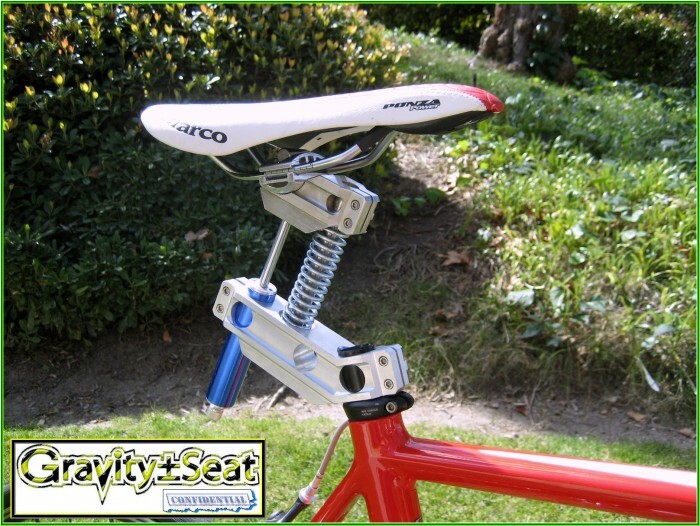 It is also believed to be the first suspension seat post in the world intended for the road bike market as well, creating a brand new market opportunity where none existed before. 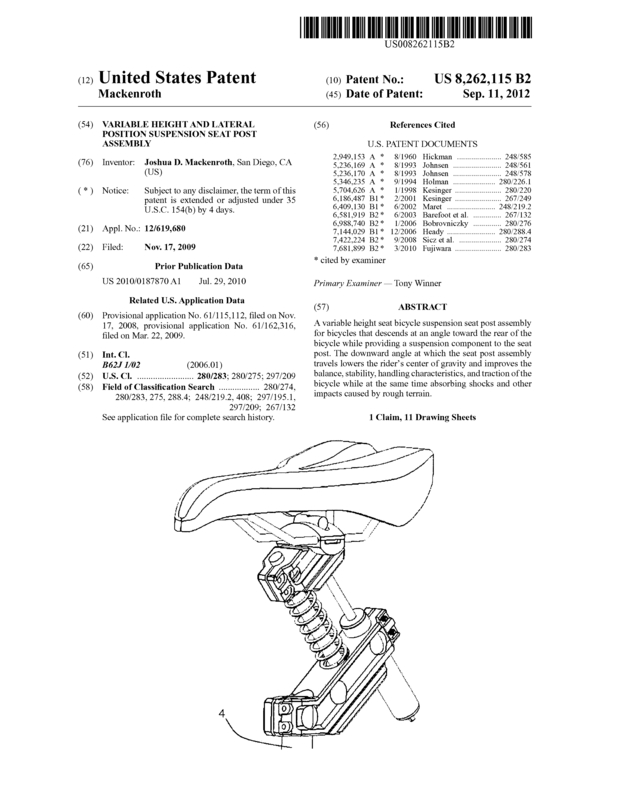 Page created at 2019-04-26 5:58:02, Patent Auction Time.